• Designed for quality TIG-welding in all types of material. • QWave™- enables AC welding with high arc stability and low noise. 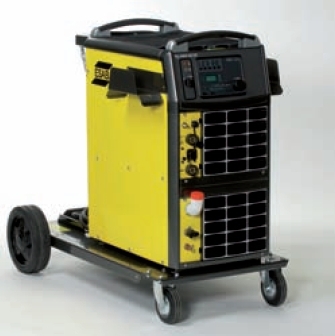 • DC Pulsed TIG welding- easy control of heat input and the weld pool. • ESAB 2-program function -possibility to pre-program and change program during actual welding. • Easy to use- All welding parameters presented in an easy to understand panel. • MMA welding in AC and DC mode – Hot start, Arc force, and polarity switch (DC). 5mmains cable incl plug, 2 m gas hose incl. 2 hose clamps and return cable 5 m incl earth clamp.